Here’s a whole bunch of recordings we have done here at Debasement.. almost all of them were entirely recorded, mixed and mastered here. Oscar Mike – Falling Down, JT did all of the work on this one (and some of the guitars too)! Holle Torrens’ track Eyes Desires, written and tracked by Holle, produced by JZ and mixed by JT. Want just mixing or mastering? No problem, all of us are happy to mix or master your tracks to whatever level you need, we’ll never be precious or criticise what you bring or where it came from, it’s all about making the music sound good, and we love doing that. 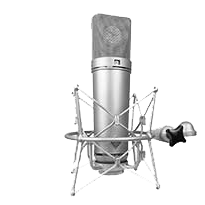 We are also happy to just track for you, cause sometimes you just need the studio for drums, or that serious vocal mic! Then you can take it home and mix it yourself, or whatever else you want to do.